This exceptional, premium-quality fade-resistant corrugated border provides vibrant colors for stunning room decorations. Classic colors include: black, white,brown, jewel Blue, vibrant green, and magenta. 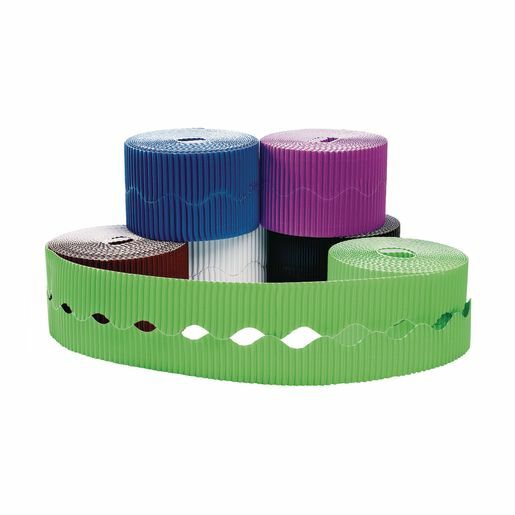 Rolls measure 50'L with smooth pre-cut scalloped decorative edging. Each roll will complete edge of two 8' x 4' bulletin boards. Recyclable.